Find out about our pharmacy and how we deliver our help to those in our community. 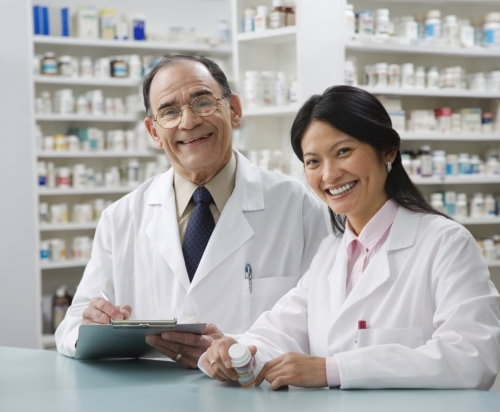 We are a retail pharmacy that offers pharmaceutical products and services in Flower Mound, Texas and the surrounding areas. For us, serving our community and promoting the health of each member who resides in it has always been the purpose of our existence as a company. The services, products, and assistance we extend to each person who steps inside our pharmacy allow us to do our part in fostering their health, convenience, and overall well-being. Our staff members have the training, background, and willingness to help our customers with their questions and concerns. So whether you pay our pharmacy a visit or talk to one of our friendly representatives over the phone, you can rest assured that they will address your needs and inquiries with respect and efficiency. If you have more questions about our pharmacy, our staff members, and who we serve, you can give us a call at 469-771-4117 or email bristolpharmacy@yahoo.com.